Boys. Here at the Read-Aloud Revival, we get asked about the nitty gritty of reading with boys more than anything else. And who better to answer those questions than a mother of eight boys? She also happens to be one of my very favorite people, so this episode is a goodie. Scroll down and hit play to listen in to my conversation with Cindy Rollins. 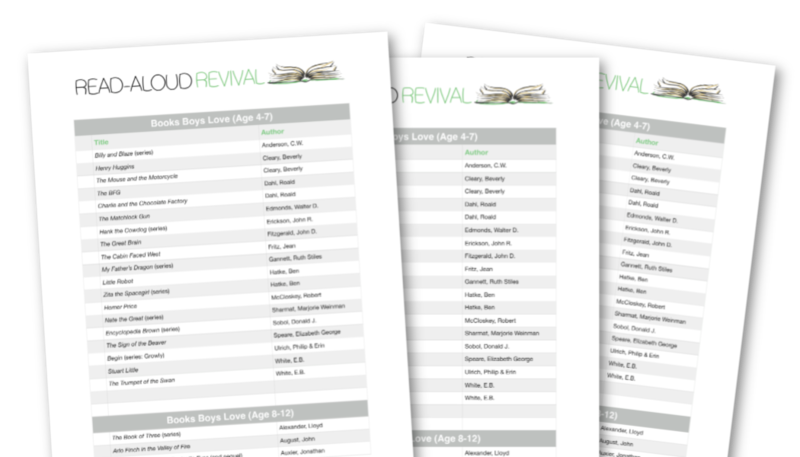 And don’t forget that your printable show notes, action-packed cheat sheets, complete transcripts, and more are all loaded up in Read-Aloud Revival Membership for you!